Our Winter 2014 newsletter is available to be read online. 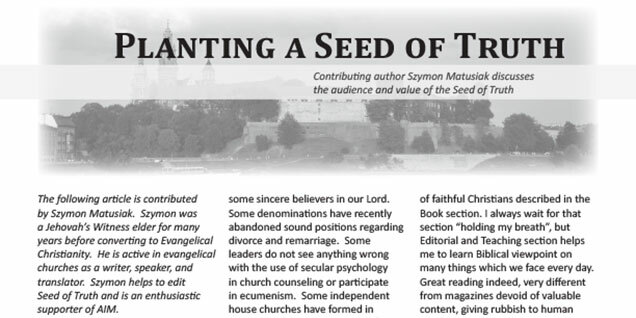 In this issue contributing author Szymon Matusiak discusses the audience and value of the Seed of Truth magazine. Our long-term and volunteer personnel in Poland fill crucial roles in the work of AIM, and we pray that God will provide people to do His work.